Q&A: Julene Bair on what’s at stake in her memoir of prairie love. 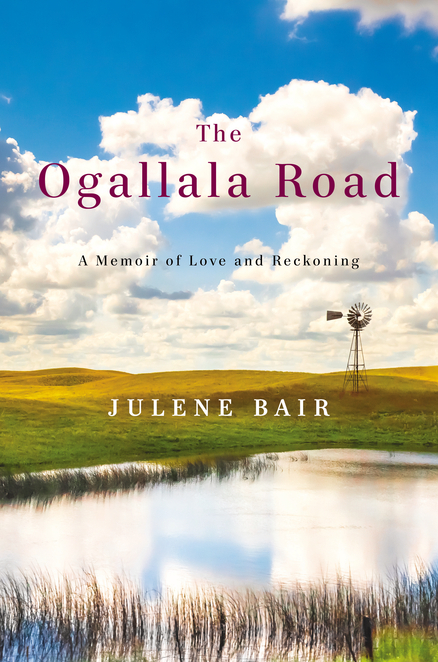 The Ogallala Road: A Memoir of Love and Reckoning by Julene Bair. Viking, 278 pp. With a great publisher, a page-turner of a story, and an appealing, actively publishing author, Julene Bair’s memoir The Ogallala Road is red hot. As I noted in my recent review, her book features two compelling foreground narratives: her romance with a man of the prairie and the fate of the sprawling family farm in western Kansas she has recently inherited. Bair agreed to a virtual sit-down with Draft No. 4 about her writing process and the fate of the Ogallala Aquifer that features prominently in her book. I don’t want any struggling memoirists out there to think this came easily. I wrote an essay for the current (May/June) issue of Poets & Writers comparing the way I write to the way my father farmed—doggedly and with determination. When a crop didn’t “make,” he plowed it under and started over. I plowed under many drafts before I understood that the central storylines were my romance with the rancher I met when I went home to research the watershed and my struggle to live up to my father’s first commandment, “Hang on to your land!” The strength of those stories drives the book forward and makes it possible for me to share much else that I care about. While it might seem that the writer in me had been handed these events on a silver platter, it took me forever to accept them as the way to begin the book. I knew that Ward would figure highly, but I fought introducing him so soon. I didn’t want readers to think that this was just a love story, so I wrote and discarded literally dozens of prologues and opening scenes trying to place that secondary plot line in the more important family-land context. 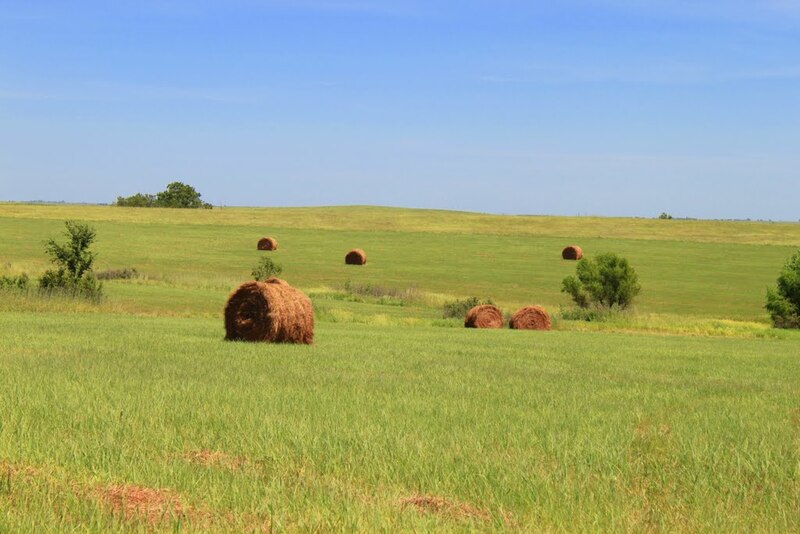 When a friend finally suggested that I chop the first twenty-three pages and begin as I’m trundling across our plowed wheat field toward our old canyon pasture, I could feel the dead weight of all that explanatory writing drop away. And I could feel the actual story lifting off on page one. All I needed to establish the family-land context were those few pages during which I visit the old farmstead and confront my guilt over my own family’s participation in the aquifer’s depletion. The second narrative thread is introduced on page fifty-five, when my brother Bruce announces at a family Thanksgiving dinner, with Ward in attendance, that he “is not certain what the future holds for the Bair farm.” My recoil at the topic he’s broaching makes it evident that the more important and overarching story will be whether my brother and I will find the wherewithal to honor our father’s commandment. The take-home for me is that if I ever find the energy and courage to attempt another book-length narrative, I really need to understand what is at stake for the narrator. My identity as my father’s daughter and as a landed person of that place had been under threat ever since I was sixteen and he sold the farm I grew up on, consolidated our holdings elsewhere in the county, and moved us to town. I didn’t understand that as I was writing this book, because, as I explain in my P & W piece, I was living the story as I wrote it. When events finally reached a real-life conclusion, I came to terms with them only as I wrote. I did my processing on the page. Unity of theme also helps the book cohere. Place isn’t just elevated to the level of character in this book, as critics sometimes claim about western narratives, but functions more as the characters’ creator. Our land dictated that we would be dry-land farmers and livestock ranchers, and also dictated my values and my aesthetics. So I can tell the story of my relationship to my son, because I seek nothing more for him than that same rootedness, and I can tell the story of Ward and me because he seemed as rooted in his land as my father was and I hoped he could be that kind of father to Jake. 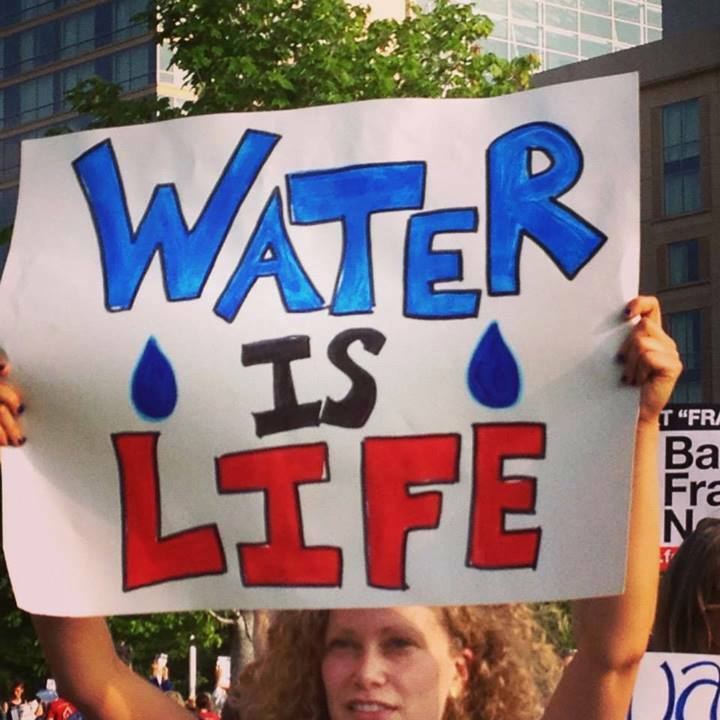 The aquifer had made our lives possible, so I could tell the story of the Cheyenne, who occupied the land before us and drank from those Ogallala-fed streams. My love affairs with mountain lakes and the Mojave Desert also go back to that land. I would not have felt drawn to either had I not grown up in that wide-open, sunlit place where water could not be taken for granted. Let’s talk about structure. Your book features five sections—do these correspond to “acts” in your mind? For instance, in your conception is The Ogallala Road really a classical three-act dramatic structure, say, despite the way you broke it? 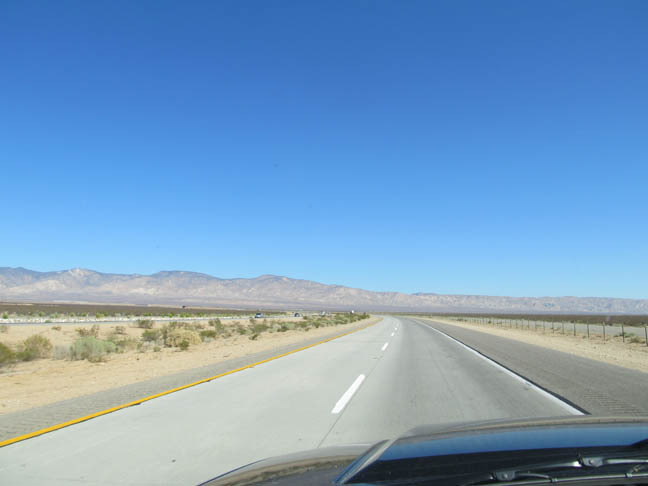 How did you decide to place the long flashback section of your twenties adventure in the Mojave where you did, second? The section breaks are much like chapter breaks, except that they signify bigger shifts. I didn’t really think in terms of the classic three-act structure, and having just visited its description on Wikipedia, I’m glad I didn’t confuse myself with the need to do so. It would have frustrated my uncovering the story I needed to tell. After all, life doesn’t follow a three-act structure, and, for me, memoir is about real life—with the material chosen for inclusion around a particular theme or crisis or issue. But I did think about the need for suspense, with tension building to a climax and then a denouement. And reflecting on your question helps me understand why my editor advised that I not emphasize the climactic moment in the Ward-Julene story. Doing so would have drawn readers’ attention away from the still rising action in the family-land story. I’d been struggling with this structural issue for ages, and finally, at her advice, cut a very dramatic chapter that I kept trying to make pivotal when it wasn’t really that important, in the long run, to my challenged identity. Regarding Part II, in order to fully identify with a story and a character’s current struggle and motives, readers need some immersion into the character’s past. It’s customary to have that look-back occur fairly early, but not before the story is well-launched. The alternative would have been to write chronologically. In that approach, I would have begun in childhood, left Kansas at eighteen for San Francisco, rediscovered the outdoors and become a nature girl, moved to the desert, gone home after my second disastrous marriage to a cowboy, farmed with my Dad, gone back to school in Iowa, moved to Laramie to teach, all before I met Ward. It would have been a plodding, self-involved, autobiographical approach, and not at all artful. I wasn’t a famous person whose life warranted chronicling. We “plebe” memoirists have to be much more purposeful than that. We need to understand where the drama lies and lead with it. But more importantly, we need to understand what we’re really writing about. I don’t like memoirs that are satisfied to simply record a series of bizarre incidents or childhood suffering. I want meaning to be made from events, no matter how sensational they might be. True, the love story got handed to me on a silver platter, but it wouldn’t have been pertinent unless, through telling it, I could address the issues that have driven my life. I was attracted to Ward because I thought he offered me a way back into a sane, self- and land-sustaining relationship to the place on earth that had made me who I was. 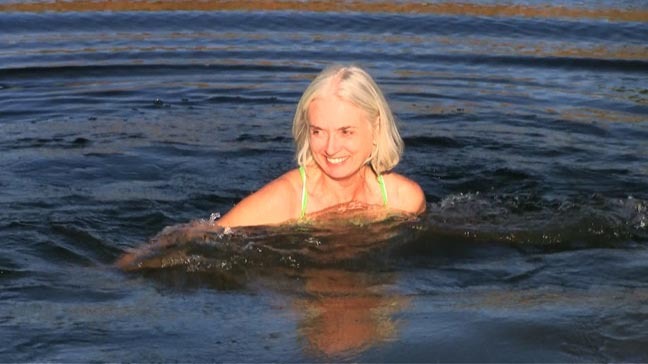 I needed to tell the backstory of my love for mountain lake swimming and my wild and adventurous foray into the Mojave in order to establish and share my genuine passion for water and desert. These fueled everything. They gave me the energy to tackle a topic that had plagued my conscience for years and that I feared, rightly, I might not be able to resolve (and would therefore be stuck writing about for years, until it resolved itself—sort of). The latter two-thirds of Part II are about my relationship with my father, once I returned home from the Mojave after a failed marriage. In my childhood, gender roles were strictly defined on the farm and it had been impossible for a girl to imagine herself as a farmer. So for him to embrace me as a potential successor not only elevated me to a status equal to my brothers, but gave me intimate knowledge of the chemical and extractive methods we now employed. All of this—the intensified loyalty to a father who believed in me that much and my complicity in the environmental harms—upped the ante when I was confronted with whether to sell or keep the farm. The sentences in your book are gorgeous. Could you discuss how you create and refine them? For example, do you try to perfect each one as you go or do you spew out prose and return later? What role does reading, and of what kind, play in your practice and growth as a maker of sentences, essays, and books? I rewrite, or at the very least tweak, every sentence dozens of times. Sometimes (rarely) a passage pours out of me, and when that happens I try to respect the mysterious source that gifted it to me. I try not to defuse the energy, but even then I will delicately go in and tweak, trim, expand and elucidate. I don’t print a chapter out until I think it’s getting close to finished, but when I do, problems invariably leap out at me that I couldn’t see when reading on the screen. When I think a chapter or essay is perfected, I read it aloud, and let my ear dictate further changes. I don’t seem capable of moving forward until I’ve perfected the prose in a chapter. I don’t advise this approach. I would prefer to spew and spiff later. But how much fixing something takes seems to be an indicator of how much bullshitting I’m doing. Often, in the umpteenth pass, I realize that the whole chapter or essay is just an elaborate attempt at saying something important when I’m actually lying or not saying anything at all. So into the “cut material” file it goes, never to be looked at again. Then I start over, chastened and more honest, because I don’t want to go through all of that again. Ellen Meloy is my favorite nature writer. Whenever I was reading one of her books, I strived harder to craft more original sentences, and also to pull out the stops on my passion for nature. Reading her also made me try to be funnier (while trying not to seem to try—try doing that!) In short, she set the bar really high. I practically worship Craig Childs, for the depth of his knowledge and evocations of the desert, water, and the natural-world. David Abram’s Spell of the Sensuous influenced me deeply, because he articulates the non-human forces that are interacting with us all the time, while we bumble harmfully along, oblivious to our connection to all things. Novels are really important to my writing also. Like most people, I’ll stay up much later to read fiction than I will to read most nonfiction (other than narrative memoirs). But the plot is like a locomotive. What counts is the freight it carries. I read for insight and for the catharsis I experience when an author makes me feel all that her characters are feeling. Only writers with a perfectly tuned emotional compass can do this, and that’s the characteristic, as a human and a writer, I most wish for. Standouts as I was writing this book were Elizabeth Strout’s Amy & Isabel (even better, in my opinion, than Olive Kitteridge); Marilynne Robinson’s Home; Karen Joy Fowler’s We Are Completely Beside Ourselves; and Jo Ann Beard’s In Zanesville. When I read books like these, I know that, the very next day, I will have to—have to—find a way to express what I’ve barely intuited before but which is propelling me through life without my full awareness. That’s the great thing about writing—making the unconscious conscious—and the fact that there’s always more down there, waiting to be discovered and said. Your book caused me to feel pained by the destruction of the Ogallala aquifer so farmers can grow corn where it should not be grown. In geologic time it will refill, one supposes. But is there any hope that this recovery will begin sooner by our ending or severely reducing irrigation on the plains? What do you foresee for the region when and if its inhabitants truly need the water to sustain human life there? Are we going to be trucking in water the way we now transport everything else? As to whether the recovery could begin sooner, I had a wonderful experience last October, although it was preceded by a disappointment. 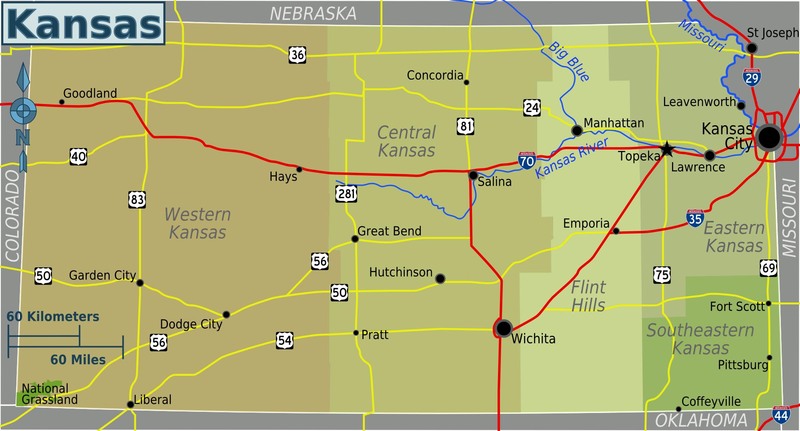 On a visit home to western Kansas, I first stopped by Big Spring, the one Ward and I visited in the book. From my reading, I had determined that Big Springs might have been the one that provided water to three or four thousand Cheyenne Indians, and many times that number of horses, for a sun dance held in the Beaver Valley in 1857. When Ward and I visited the spring in 2002 it was much diminished but deep enough that it probably would have reached my waist had I waded in it, and it stretched for a hundred or more feet down the bed. But last October, after several more years of intense pumping and an intense drought, it wasn’t a question of wading anymore. I stood at the lowest point, and my shoes remained bone dry. After that, I dreaded what I might find when I visited the South Fork of the Republican River, also in that northwest corner of Kansas, but instead of a vanished river I found a resurgent one—running higher than I’d ever seen it before. Despite the season, I just couldn’t help myself. I had to put on my bathing suit (which I bring on every trip regardless of how unlikely a swim might be) and jump in. After returning home, I called the groundwater district on the Colorado side of the border and confirmed what I already suspected. The river was running so high for two reasons: in settlement of a long-fought lawsuit between the states over the Republican, Colorado had opened the floodgates at Bonny Dam, a Republican River reservoir where my father used to take me fishing; and, and they had closed down hundreds of irrigation wells, also in order to restore flow to the river. So the answer is a resounding yes. Shutting down wells or vastly reducing the pumping rates can begin to stabilize the aquifer, and even restore or improve the flow in some of those precious streams. But the longer we wait, the less hope for them remains. What do I foresee for the region? The world also has a stake in this. The most recent United Nations Intergovernmental Panel on Climate Change tells us we’re going to need our aquifers in order to sustain crops that we could traditionally grow without the aid of irrigation. (It takes only a few inches or less to pull a wheat crop through a drought, whereas irrigated corn requires anywhere from fourteen to twenty inches.) So really, the ability of many people to get enough to eat by 2050, when nine billion people are projected to inhabit this planet, will be direly affected if the Plains “breadbasket” become less viable. As for the farmers and local economies, there will probably always be enough water for small municipal needs, because when the aquifer falls below a certain level irrigation rates can’t be sustained. But there won’t be much point of living there if even those traditional dry-land crops can’t be grown. So unless we find the political will now to get the federal government to stop subsidizing the aquifer’s destruction (through the ethanol mandate and Farm Program subsidies of thirsty crops in the region) and instead underwrite a return to more drought-tolerant crops and grazing on the High Plains, the region is indeed headed for a crash landing. Wonderful interview. With that picture of her swimming and the promise of a real live romance right up front, how can can I resist buying this book? Thanks, John—better bop on over to Amazon or your favorite physical bookstore right now! Hi, Julene and Richard. As an urban dweller with access to buses and trains, I have never driven a car myself, or had to buy gas. This spring, my brother gave me the story on ethanol when we were waiting at a pump, and I was shocked. Your tale confirms my sense that indeed we are abusing our privileges on this earth. Thank you for your book, and I think your thoughts on writing and reading are also important and valuable for the reading public to touch base with. Victoria, you live a high quality life if you don’t have to drive. Not to mention a low carbon footprint one. I started reading The Ogallala Road last night, Richard. And you’re right. Julene’s sentences are gorgeous. I plan on taking my time to savor this one. Thanks for another great recommendation. You are most welcome, Darrelyn. Thanks, Richard, for this wonderful opportunity to talk in depth about writing The Ogallala Road. Draft No. 4 is a great service to readers and writers alike. Excellent, Richard! Thank you so much for talking to her about this fantastic novel! I can’t wait to get my hands on this book! You are welcome, Hannah. I think you will enjoy it.